This post demonstrates how to obtain an n by n matrix of pairwise semantic/cosine similarity among n text documents. Finding cosine similarity is a basic technique in text mining. My purpose of doing this is to operationalize “common ground” between actors in online political discussion (for more see Liang, 2014, p. 160). The tools are Python libraries scikit-learn (version 0.18.1; Pedregosa et al., 2011) and nltk (version 3.2.2.; Bird, Klein, & Loper, 2009). Perone’s (2011a; 2011b; 2013) three-piece web tutorial is extremely helpful in explaining the concepts and mathematical logics. However, some of these contents have not kept up with scikit-learn’s recent update and text preprocessing was not included. This post addresses these issues. If you are familiar with cosine similarity and more interested in the Python part, feel free to skip and scroll down to Section III. I. What’s going on here? The cosine similarity is the cosine of the angle between two vectors. 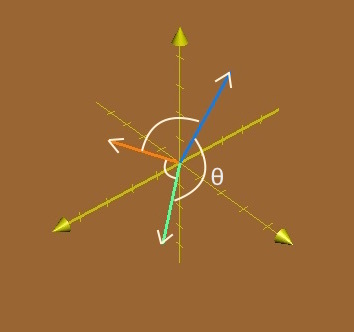 Figure 1 shows three 3-dimensional vectors and the angles between each pair. In text analysis, each vector can represent a document. The greater the value of θ, the less the value of cos θ, thus the less the similarity between two documents. Figure 1. 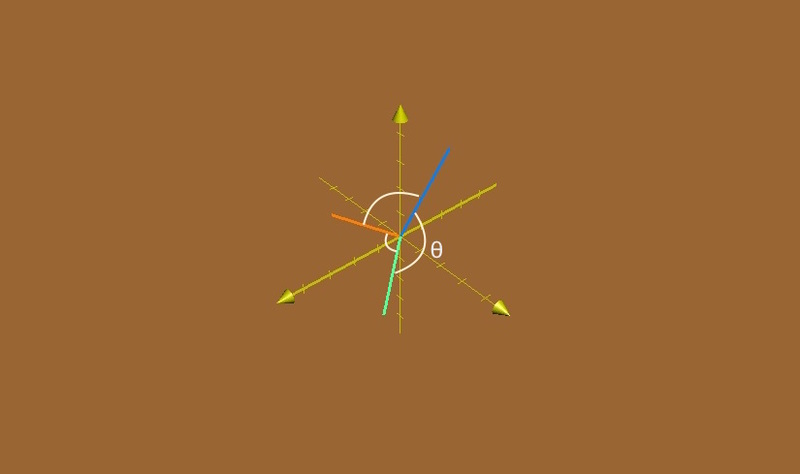 Three 3-dimensional vectors and the angles between each pair. Blue vector: (1, 2, 3); Green vector: (2, 2, 1); Orange vector: (2, 1, 2). where cosine is the dot/scalar product of two vectors divided by the product of their Euclidean norms. II. How to quantify texts in order to do the math? a. Raw texts are preprocessed with the most common words and punctuation removed, tokenization, and stemming (or lemmatization). b. A dictionary of unique terms found in the whole corpus is created. Texts are quantified first by calculating the term frequency (tf) for each document. The numbers are used to create a vector for each document where each component in the vector stands for the term frequency in that document. Let n be the number of documents and m be the number of unique terms. Then we have an n by m tf matrix. c. The core of the rest is to obtain a “term frequency-inverse document frequency” (tf-idf) matrix. Inverse document frequency is an adjustment to term frequency. This adjustment deals with the problem that generally speaking certain terms do occur more than others. Thus, tf-idf scales up the importance of rarer terms and scales down the importance of more frequent terms relative to the whole corpus. where n is the total number of documents and df(d, t) is the number of documents in which term t appears. In Equation 2, as df(d, t) gets smaller, idf(t) gets larger. In Equation 1, tf is a local parameter for individual documents, whereas idf is a global parameter taking the whole corpus into account. Therefore, even the tf for one term is very high for document d1, if it appears frequently in other documents (with a smaller idf), its importance of “defining” d1 is scaled down. On the other hand, if a term has high tf in d1 and does not appear in other documents (with a greater idf), it becomes an important feature that distinguishes d1 from other documents. d. The calculated tf-idf is normalized by the Euclidean norm so that each row vector has a length of 1. The normalized tf-idf matrix should be in the shape of n by m. A cosine similarity matrix (n by n) can be obtained by multiplying the if-idf matrix by its transpose (m by n). d1 = "plot: two teen couples go to a church party, drink and then drive." d2 = "films adapted from comic books have had plenty of success , whether they're about superheroes ( batman , superman , spawn ) , or geared toward kids ( casper ) or the arthouse crowd ( ghost world ) , but there's never really been a comic book like from hell before . " d3 = "every now and then a movie comes along from a suspect studio , with every indication that it will be a stinker , and to everybody's surprise ( perhaps even the studio ) the film becomes a critical darling . " d4 = "damn that y2k bug . " The default functions of CountVectorizer and TfidfVectorizer in scikit-learn detect word boundary and remove punctuations automatically. However, if we want to do stemming or lemmatization, we need to customize certain parameters in CountVectorizer and TfidfVectorizer. Doing this overrides the default tokenization setting, which means that we have to customize tokenization, punctuation removal, and turning terms to lower case altogether. If we want more meaningful terms in their dictionary forms, lemmatization is preferred. Now we have a vector where each component is the idf for each term. In this case, the values are almost the same because other than one term, each term only appears in 1 document. The exception is the 18th term that appears in 2 document. We can corroborate the result. which is exactly the same as the result from TfidfTransformer. Also, the idf is indeed smaller when df(d, t) is larger. Here what the transform method does is multiplying the tf matrix (4 by 41) by the diagonal idf matrix (41 by 41 with idf for each term on the main diagonal), and dividing the tf-idf by the Euclidean norm. This output takes too much space and you can check it by yourself. The matrix obtained in the last step is multiplied by its transpose. The result is the similarity matrix, which indicates that d2 and d3 are more similar to each other than any other pair. Scikit-learn actually has another function TfidfVectorizer that combines the work of CountVectorizer and TfidfTransformer, which makes the process more efficient. which returns the same result. Bird, S., Klein, E., & Loper, E. (2009). Natural language processing with Python: Analyzing text with the natural language toolkit. Sebastopol, CA: O’Reilly Media. Thank you for the question. From Step b in Section III to the end, only lemmatization is used.